The word 'Legend' is bandied about in all walks of life. I've heard people apply it to someone they've seen drink 10 pints without falling into a coma. Some others would describe as a legend someone who has managed to crack reasonably funny jokes on TV for 30 years without being found out. You might even be called a legend if you've managed to bed at least one person for every year you've been alive. I even have a friend, in Scotland, who calls me a legend because I've managed to live this long without falling under a bus. These definitions are all valid in their own way. "..anyone or anything whose fame promises to be enduring, even if the renown is created more by the media than by oral tradition. Thus we speak of the legendary accomplishments of a major-league baseball star or the legendary voice of a famous opera singer. This usage is common journalistic hyperbole.."
Conferring 'legend' status upon anyone, or anything, therefore, is a totally subjective exercise and can only ever be the opinion of a fraction of the population. That opinion will always be the subject of debate and discussion. There are, however, a small number of individuals, in all fields of human endeavour, who have earned legendary status. The reason they have achieved this high status is that they have transcended the norm. They are perceived to have accomplished more in their chosen field than their peers.. they are generally accepted as leaders and trendsetters and where they lead others hope to follow, or at least to try and keep up. 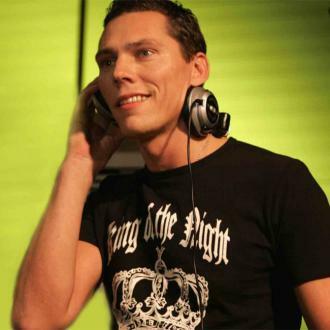 So (and I am finally getting to the point, if you were wondering) is it right to call Tiesto a legend? What a stupid question.. of course it is. The facts and his accomplishments speak from themselves. the establishment of himself as a stadium act (witness his opening of the 2004 Athens Olympics). the fanatical following he has garnered all over the world. his development of the genre as a mainstream, rather than second rate, clubbing experience. and so on and so on... I could go on for ever, really. The simple fact is that he is the biggest DJ in the world and the reason is simple. He gives people what they want to hear and he challenges and surprises them at times with things they didn't think they wanted, or realised they were hoping to hear. Whether he's playing his own music, remixing the work of other people, or simply dropping tunes he knows people listening will know and love; he has a way of selecting and combining and mixing the tracks he plays which is simply unmatched by any other DJ on the planet. From his first album (In My Memory, 2002) to his latest (Elements of Life, 2007) his talent and fan base have grown almost exponentially. Whether he is playing to a few hundred people at a northern club, or over 3 billion worldwide watching the Olympics, he never gives less than everything he has and I have never spoken to anyone who has left one of his gigs disappointed. So, you might ask, where does this leviathan of the dance music world go next? The answer to that is.. he embarks on a world tour.. a multi-venue, multi continent, multi million dollar, all singing, all dancing, lights flashing, fireworks exploding world tour. I went to the London show on April 20th. Arriving at Alexandra Palace in north London at around 11pm (having only got lost twice on the way down from Leeds) the first thing I couldn't help noticing was the queue. I have never seen a queue like it... there must have been about a ¬ of a mile of people snaking their way round the front of the building and down the driveway. Impressive as the palace driveway is, it's definitely not the sort of place you want to be standing around in for 3 hours, in a t-shirt, when the temperature is close to freezing. It's a shame the promoters hadn't thought about putting on some outdoor entertainers to relieve the extreme boredom and creeping hypothermia. Given that Tiesto was due onstage at 12 midnight I couldn't help feeling sorry for the people who were obviously not going to be getting in until his set was well underway and, in fact, the last punters got in about half past one! If this all seems a bit negative, so far, then I can only apologise, but if major sporting venues can get 100,000 people through the turnstiles in a couple of hours then why did it take so long to get everyone in here? I spoke to some people who started queuing at 7pm and didn't get in til midnight! When you've paid good cash to attend an event you don't expect the people organising it to have so little consideration for you that they are prepared to leave you standing out in the freezing cold for up to 5 hours before they allow you into the venue. The delay was, of course, caused by the body searches everyone had to undergo before being allowed in. 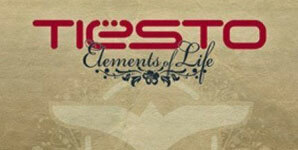 The ongoing tour is in support of his latest CD release 'Elements of Life' and is a mammoth undertaking involving a travelling crew of 35 and tons of sound and lighting equipment. This concept album is based around the 4 elements; water, fire, earth, and air and is intended to show the interplay between them. 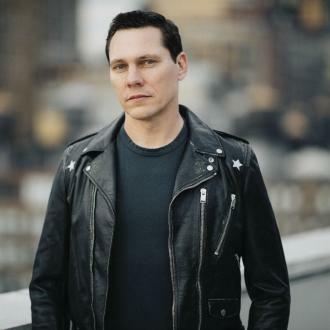 In fact the album is something of a departure from Tiesto's previous 2 artist albums in that it seems to be more experimental, as well as having more of a rock influence alongside the trance you would expect. Featured vocalists are Brian Transeau (Break My Fall), Julie Thompson (Can You Feel Me), Jes (Everything), Maxi Jazz (Dance4Life) and Christian Burns(In The Dark). All are excellent, as is the album as a whole. You can definitely see Tiesto developing as an artist on this CD with his trademark trance build-up/breakdowns alongside anthemic rock-style riffs and arpeggios. It might not strike you at first that this is a great album, but several listens should convince you that Tiesto is moving onward and upwards in terms of his musical development and producing abilities and it is going to be very interesting to see where he takes us (and himself) next. The album formed the backbone of this live show with the tracks played at intervals amongst the usual floor fillers and crowd pleasers you would expect and there were stunning live performances from Jes (who also did a live set before Tiesto came on) and Christian Burns. A huge screen at the back of the stage played non-stop images of the elements in their various guises and the accompanying lighting and lasers were amazing. The sound was excellent, though it did tend to peter out somewhat towards the back of the hall. My only criticism (and it's one I always make about these big events) is that the star of the show was poorly lit and impossible to see from most of the room. Why are there never side screens showing the DJ and why is he/she never properly lit? I know the music is the point of the whole exercise, but being able to see the artist responsible would be a bonus too. All in all this was a magnificent event, featuring great music, a fabulous crowd and an artist at the peak of his powers.